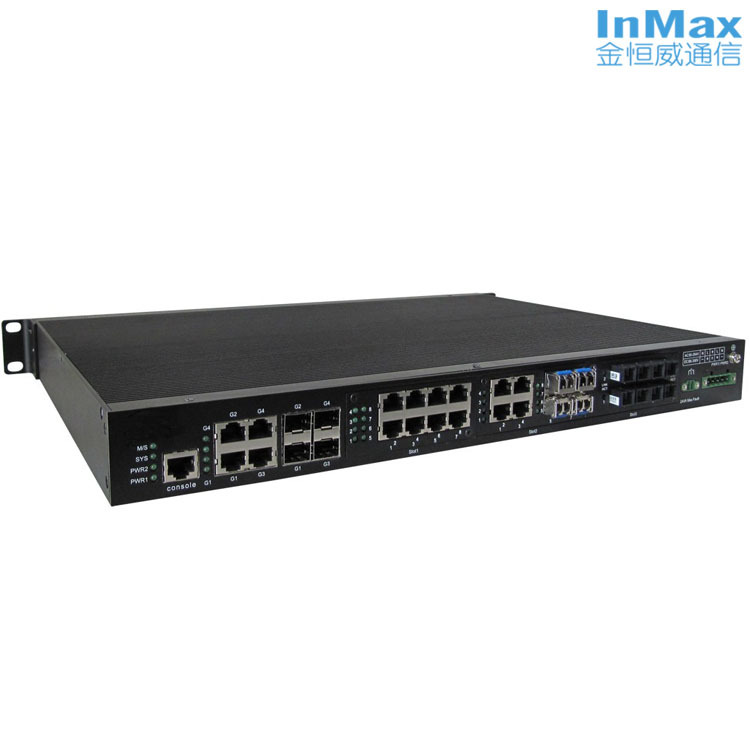 PT3728 4G+24 Ports Modularized Advanced Managed Industrial Ethernet Switch - IEC 61850-3 Switches - Shenzhen InMax Technologies Co., Ltd. (InMax) �C the professional supplier of Industrial Ethernet Switches, and provider of IOT Industrial Communication Solutions. RIP v1/v2, OSPFv2 and BGPv4, static routes and IP policy routing. applied in the industrial fields such as electrical power, transportation and energy. static routes and IP policy routing.